I am a lover of Christmas, always have been, I go all out. However, this year I thought I would actually try with Halloween. I found a bag of our old Halloween decor and dived right in. 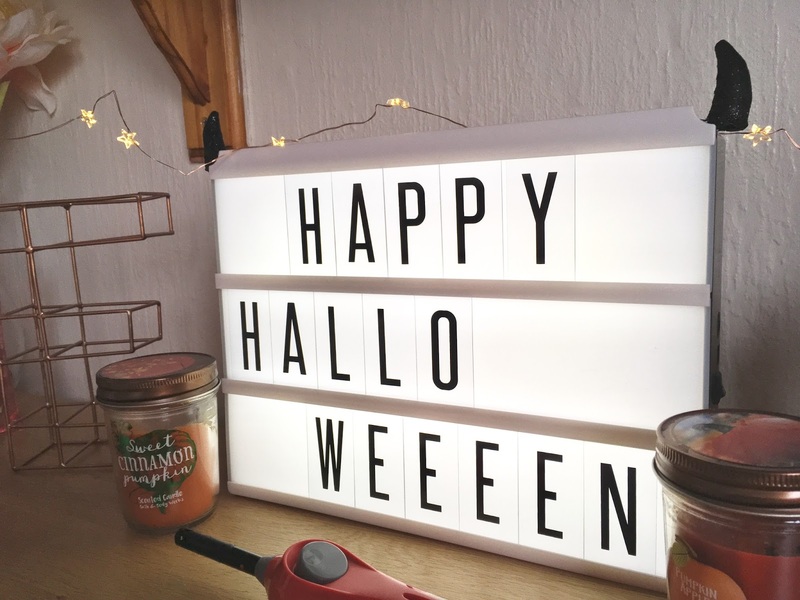 I thought I would share my simple Halloween room decor. Adding a Halloween saying to my board was a must, adding some horns gave an extra something! 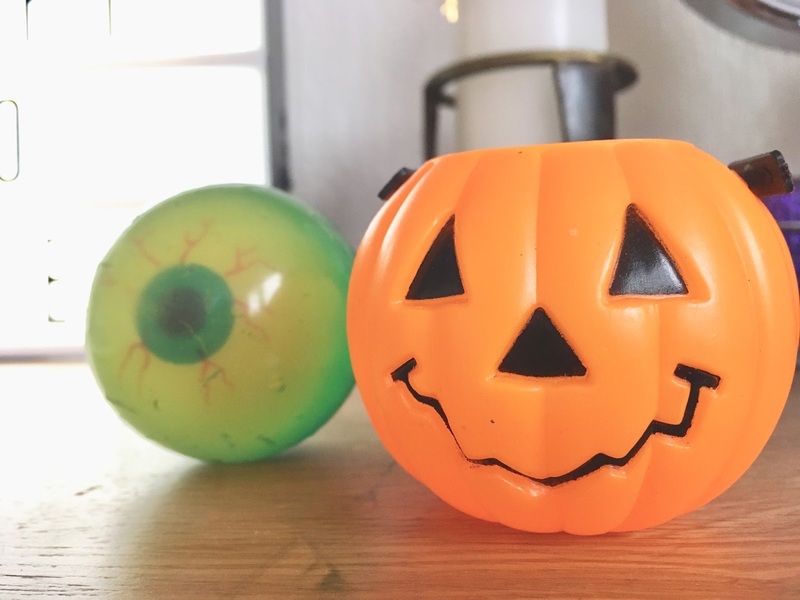 I also found these little pumpkin and ghost pots which a find adorable and some rubber eyeballs, which btw glow in the dark. Then I added some spider rings (yes they are from the Greggs cupcakes) to my plants, to make them feel more festive. 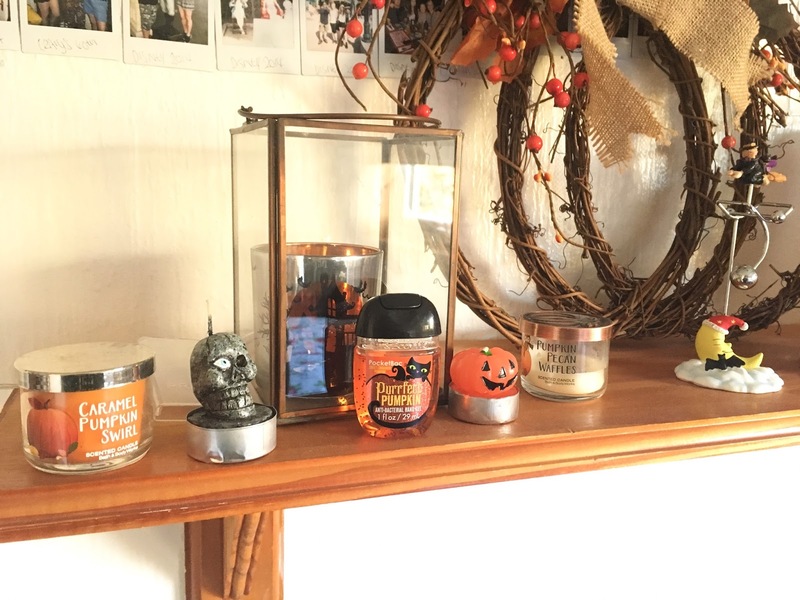 I added more Halloween candles to my new shelf, my pumpkin wreath (Homesense) and more pumpkin scented candles. I also have Bath and Body Works hand gel, which I picked this summer. It just fits in perfectly with my room right now! 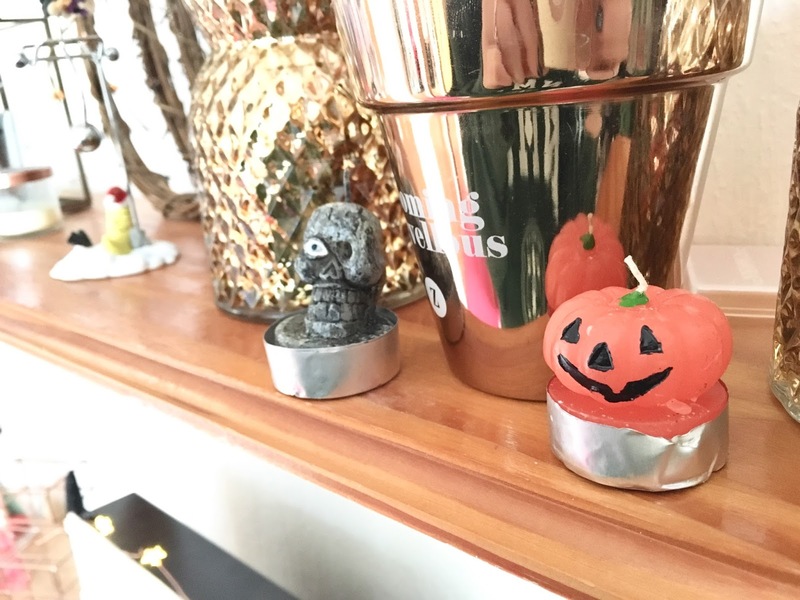 The witch decoration has been used in my living room for years, so I swiped it to add to the spooky decor. Last but not least my fairy lights, these will be up far later than Halloween and will be perfect for Christmas. They are the prettiest thing that I have bought from Primark and sit nicely on my wall. I am actually really digging it and I will be gutted to take it down in November. Here's to full speed ahead for Christmas! Oh my god, I didn’t even notice the horns on your board to begin with, but they’re so cute?! And I am a big fan of Primark fairy lights - they’re actually really good quality, and they last a lot longer than ones I’ve bought from other shops that have been more expensive! Happy Halloween.. 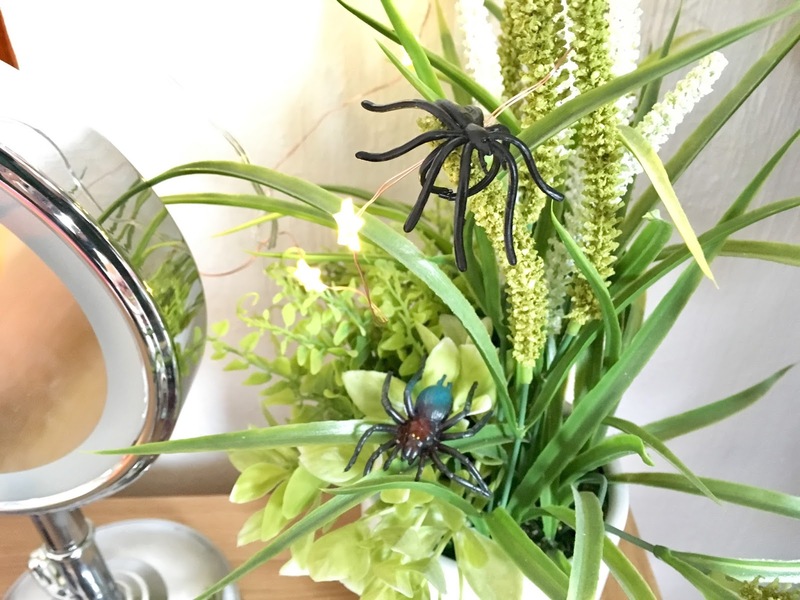 I absolutely love the spiders on your pot plants, they look so fab! 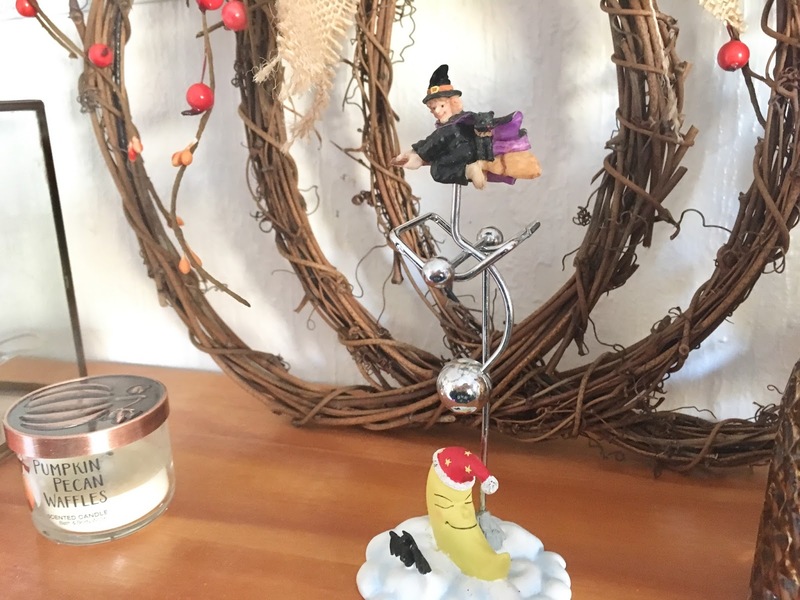 I also go all out for Christmas when I'm a home but rarely do so for Halloween unless we're having a party but this has inspired me to do some last minute decorating! 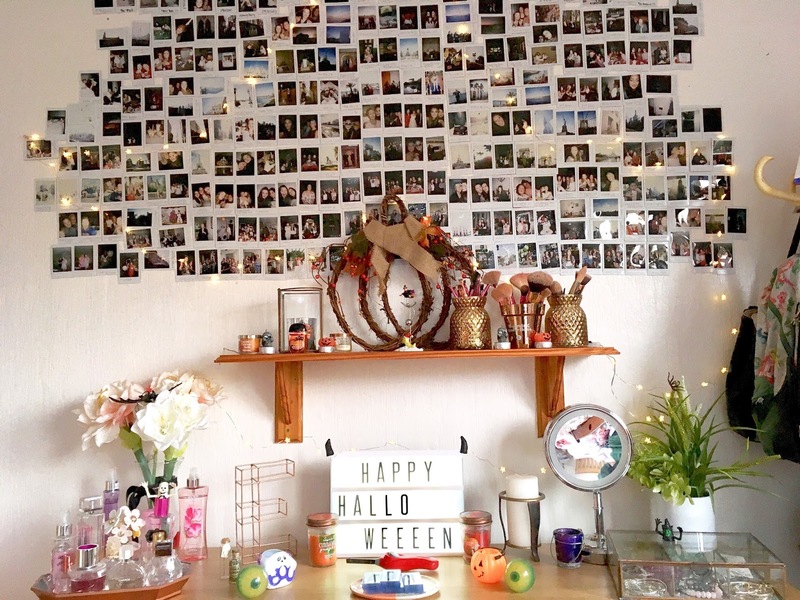 Thank you for sharing this mini room decor tour! Aww this looks so cute! I love the fairy lights and you can certainly keep them up all year round! I'm not one for Halloween - I don't celebrate it at all, it's such a non-event for me. But we obviously decorate at Christmas and I adore decorating the Christmas tree with my mum. I absolutely LOVE the colours, your room looks beaut! Love your photo wall too! Your room is so cute! I also love Christmas and go all out. Okay your room is so cute! 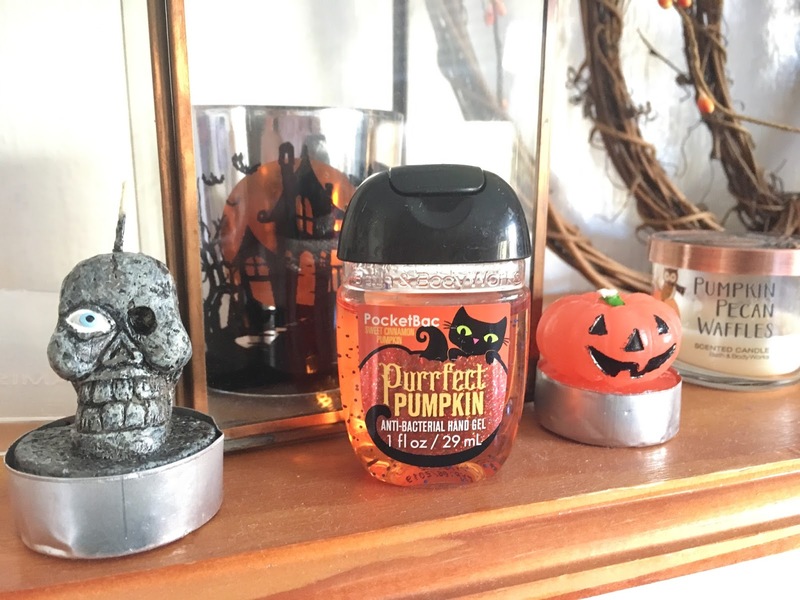 I love all the decorations, I’ve especially been loving all the cute little pumpkins this year. 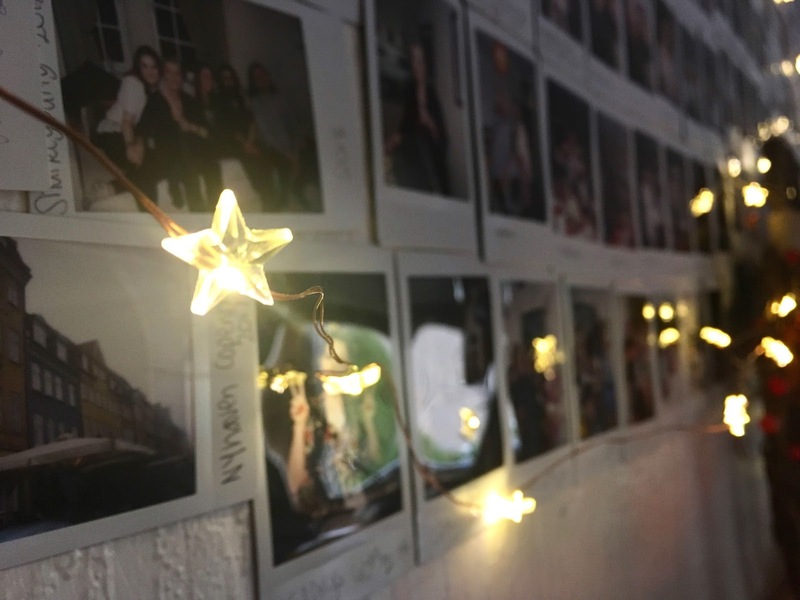 I love some cute fairy lights all year round too, they just make a room so cosy! This looks so lovely!! This year is the first year we didnt really properly decorate for halloween and it definitely felt a bit strange. Where we live we have no trick or treaters as we are in the middle of nowhere so its a little bit rubbish! This looks amazing! 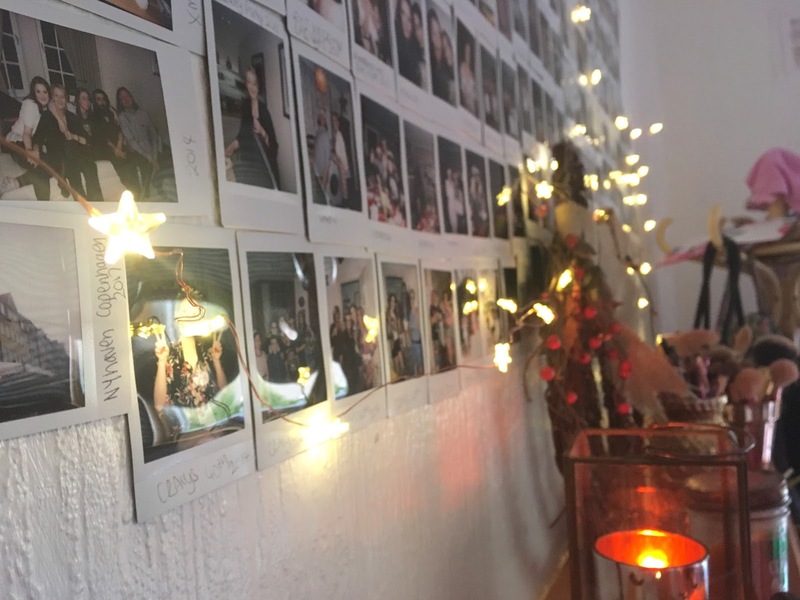 Polaroids are one of my favourite things, they look so nice all up on the wall together! I love how a small handful of items made such a big change! Everything looks lovely and its always nice to get into the festive spirits! Whether it be Christmas, Halloween, Easter and more. You did a fantastic job and its made me regret not going all out now haha... maybe next year. In the mean time I can get excited for Christmas! Love how you have all those photos set up!